Menopause is unavoidable and it is no secret that many women go through tough times when they hit menopause. Ayurveda can help women deal with menopause by easing the complications. Diet is important, as what you eat, without doubt, affects every phase of your life, from puberty to menopause. There are a few food items that need to be avoided and these include the heat inducing as well as processed foods like, spicy chillis, pepper, and spices like garam masala as well as packaged and processed foods. They are high on salt and sugar content, and are not a good idea for any age group. Ayurveda also asks you to focus on plant-based nutrition, it doesn’t recommend any kind of meat as they produce more toxins and free-radicals in the body. In the meantime, say yes to cooling foods as the body is transitioning from vata to kapha. Increase intake of foods that produce more estrogen like soy milk, soy beans and prunes. Fresh fruits and vegetables help eliminate toxins and clear your system. You can begin your day with cooked apples, prunes or figs (high on iron) as they will help reduce mood swings and make menopause easier. Also make sure you consume lots of green leafy vegetables. For instance, you can start including plenty of spinach, radish leaves, drumstick leaves (moringa), colocasia leaves (patra), and coriander in your meals. Ayurvedic spices like Cardamom, cumin, cinnamon and ajwain are generally beneficial in dealing with stomach issues. Another vital food group you should focus on are lentils. You can consume everything from whole green moong to red lentils to chana dal. 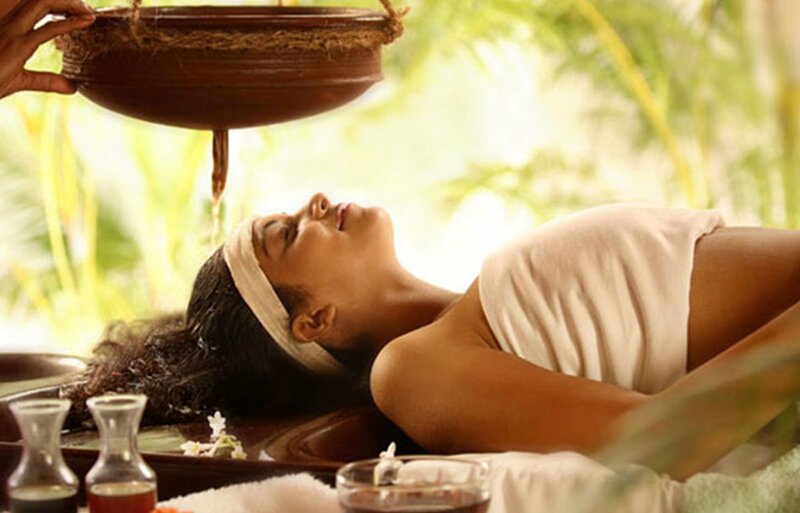 Itoozhi Ayurveda conducts regular clinics for women of all age groups and advises on effective therapies.